“Fast and easy” diet programs are appealing to many people trying to lose weight. That’s because they want to be able to eat what they want and still lose weight. But are those methods safe, healthy and effective? Fad diets may not be healthy. Fad diets may have short- and long-term effects on the body. In the short term, you may lose pounds but drastic weight loss without proper nutrition may have serious long-term effects on the body. 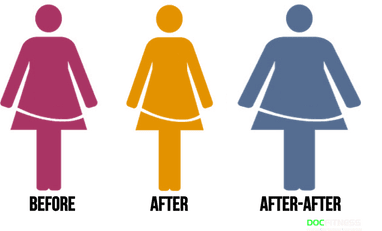 When the body loses weight, the vital organs such as the liver and kidney will be overworked, as they try to get rid of excess fat and toxins from the body. It is important to support the body with proper nutrition. Proper monitoring of the body is needed when losing weight. Fad diets are not based on nutrition. You are what you eat. Even if you are on a diet, your body needs the right nutrition to keep energy levels high and to avoid adverse health effects in the long run. To get all the essential nutrients, the diet should include balanced nutrition with different food groups, such as lean protein, vegetables and controlled fat and sources of sugar, like healthy carbohydrates and fruits. Fad diets may lead to health problems. Losing weight may put some stress on vital organs. It is important that a person is healthy to go on a diet. It is always advisable to see a doctor before starting any weight-loss program and to be closely guided throughout the process. Fad diets results are short-term. Most fad diets will help you lose weight for a short period of time, but you will eventually gain more than what you lost. When the body does not get balanced nutrition, it will try to preserve itself by slowing down metabolism, making burning fat harder. While there may be weight loss initially, the body will eventually need more food to compensate for the loss, which can lead to more weight gain. Fad diets may not help get rid of the fats. 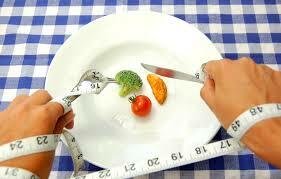 When weight and muscle are lost initially, you may be led to believe that a diet is effective. However, most weight loss resulting from fasting or starvation comes from burning vital muscles and not the loss of fat. When the body is starving, metabolism causes it to store energy, which it gets from body fat. But when there is little fat or muscle left, the body will start to metabolize the organs that are made of lean tissue. This may lead to stroke, heart attack or liver and kidney failure. To lose weight, increase vegetable consumption, drink more water, eat lean protein, reduce fats and sugar consumption, including refined carbohydrates. Healthy habits like sleeping well and exercising will also aid healthy weight loss. While you feel the need to lose weight, remember that your health matters more than the numbers on the weighing scale. Do your research before trying any fad diets.